UncategorizedComments Off on Black Book: Feedback Systems. Why many types of feedbacks don’t work and what to do about it. Get your free copy now! Feedback systems such as Employee surveys and 360° feedbacks can do a lot, provided they are properly designed and applied. 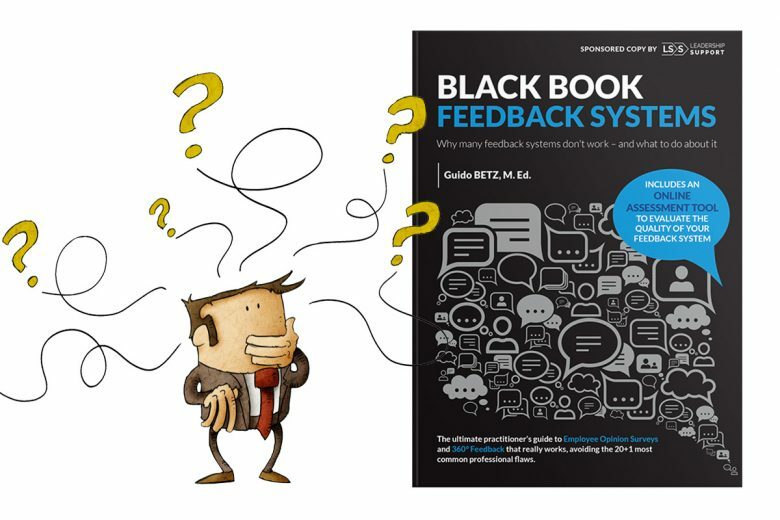 The newly released “Black Book Feedback Systems” helps you to avoid the 20 + 1 most common mistakes in designing and handling such systems. The book contains easy-to-use guides and hands-on case studies to help you design and optimize your feedback system. What is more, this practitioners’ guide gives you free access to the first of its kind online self-assessment tool. Answer the questions and receive an immediate free report which analyzes the quality of your feedback system in detail. The report indicates where you might have gaps in your feedback processes or which flaws discussed in the book are present in your system. « How do you manage the shift to an agile mindset? Check out the video!